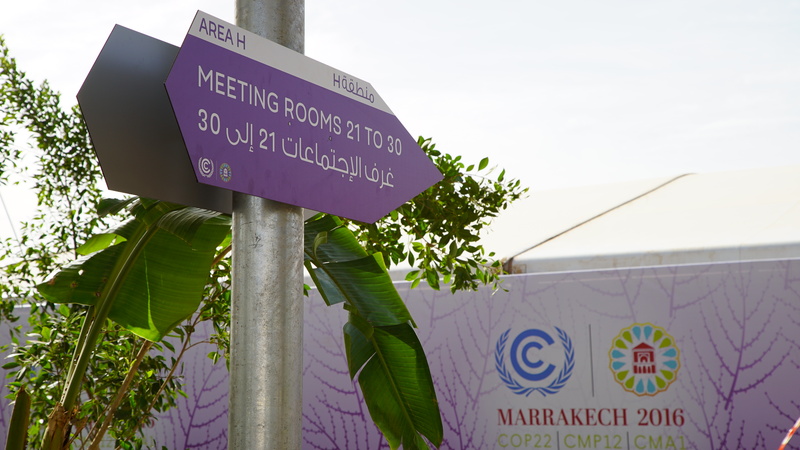 The 22nd edition of the UN Convention on Climate Change Conference of the Parties (COP22) took place between 7 – 18 of November. There were over 20 side events at this COP that sought to address human mobility and displacement in the context of the adverse effects of climate change. Reiterating the message of Mr. Volker Türk, UNHCR Assistant High Commissioner for Protection, at the PDD Advisory Committee Workshop, PDD welcomed the remarkable growing awareness of disaster displacement in recent years. At the same time, PDD remained aware of the urgency of environmental change and the need of collective empathy and solidarity, as Mr. Achim Steiner, Envoy of the Chair of PDD, eloquently pointed out at the same meeting. 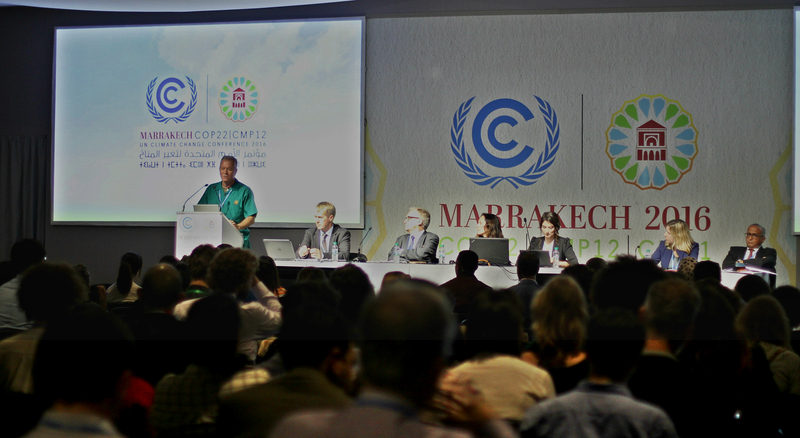 During the first week of COP22 the Platform participated in 5 of these side events as panelist. PDD also co-organized one of the side events together with UNHCR on Wednesday 9 November, at 15:00-16:30 in the Green Zone: Room Sebou. The panelists considered opportunities for support and action between the Platform and the UNFCCC WIM Task Force on Displacement. 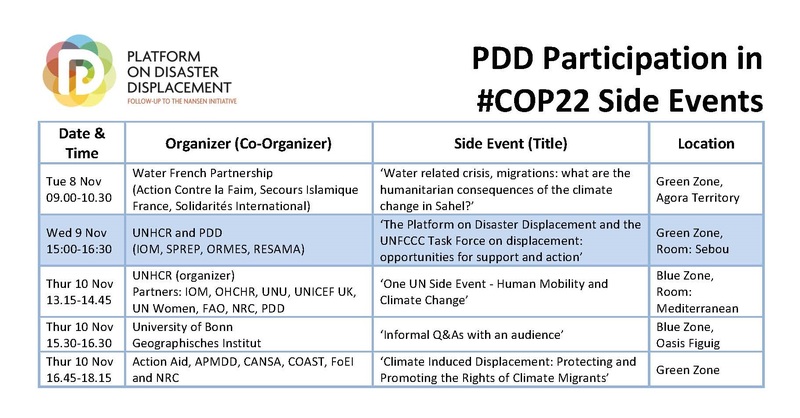 Please find the PDD schedule at COP22 and short summaries of the events below. Marrakesh, Morocco 8 November 2016 – The Partenariat Français pour l’Eau/French Water Partnership (including Secours Islamique France, Action contre la Faim France and Solidarités International) together with the Platform on Disaster Displacement discussed issues of human mobility and disaster displacement in the Sahel. Atle Solberg, the Head of the Platform’s Coordination Unit explained that States can do a lot to reduce risks. Mitigation is of paramount importance particularly for vulnerable regions like the Sahel and Pacific. But there are also existing policy options that can be applied for admitting persons displaced in context of climate change and disasters. Marrakesh, Morocco 9 November 2016 – The Platform on Disaster Displacement together with UNHCR and representatives from the Federal Foreign Office of Germany, the International Organization for Migration (IOM), the Secretariat of the Pacific Regional Environment Programme (SPREP), the Observatoire Régional des Migrations-Espaces et Sociétés (ORMES) and the South American Network for Environmental Migrations (Resama) discussed opportunities for support and action between the Platform and the UNFCCC WIM Task Force on Displacement. 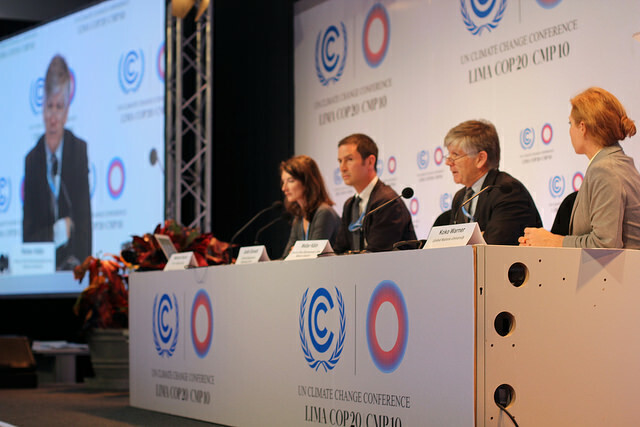 We were pleased to present the work of the Platform for the first time at a UNFCCC side event. The Platform stands ready to support the WIM Task Force on Displacement and the development of recommendations for integrated approaches to avert, minimize and address displacement related to the adverse effects of climate change. Together with States and partners, the Platform will share its knowledge and findings with the Task Force in its work of developing technical, operational, financial and normative recommendations. Disaster displacement is real, numbers are growing and it creates complex humanitarian, human rights and development challenges. Ms. Fernanda C. Capdeville from RESAMA explained that “climate change and disaster related displacement is already a reality in South America”. Mr. Espen Ronneberg of SPREP as well as Mr. Thomas Meister from the German Federal Foreign Office emphasized this point for the Pacific region as well. Explaining that while migration is an adaptation measure for many vulnerable and at-risk, Prof. Mohammed Charef from ORMES added that “today migration (…) provokes empathy from some and rejection from others”. Finally, Dina Ionesco of IOM, highlighted the growing awareness and the proliferation of interests in human mobility related to climate change, as COP22 has more than 30 events on this topic, whereas COP18 had only 2. Marrakesh, Morocco 10 November 2016 – The Platform on Disaster Displacement was very pleased to be invited to the ONE UN side event at COP22 together with representatives from IOM, the Office Of The UN High Commissioner For Human Rights (OHCHR), UN-Women, United Nations Children’s Fund (UNICEF), the Food and Agriculture Organization (FAO), UN University (UNU) and the Norwegian Refugee Council (NRC). UN Agencies are very important in the work of the Platform, to implement the recommendations of the Protection Agenda. 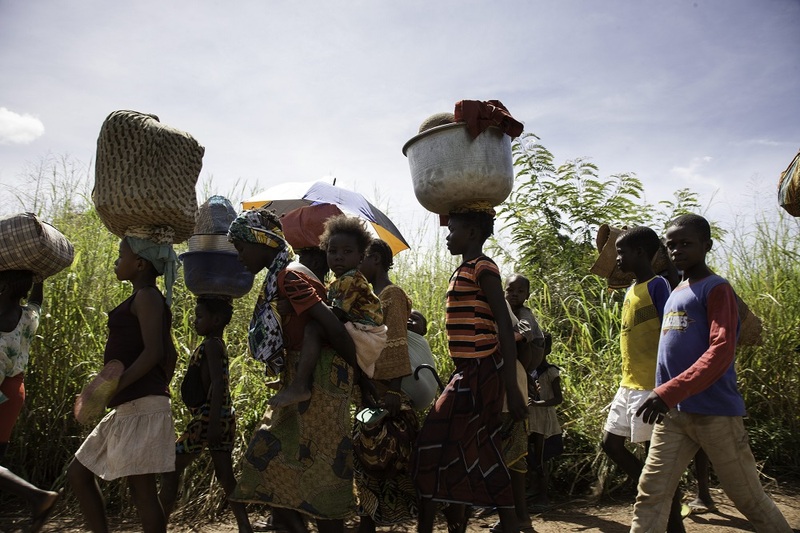 The event covered human mobility through its multiple policy and action areas. The discussion focused on: the function of human rights in the UNFCCC WIM Task Force on Displacement, the importance of children participation in human mobility work, the key role of women in planned relocation efforts, and the impact of climate change on agriculture, culture and heritage. 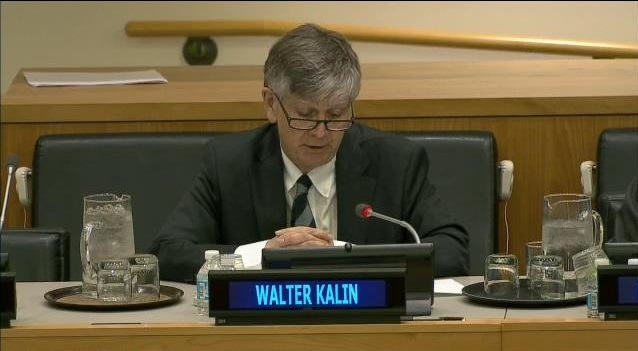 It was also highlighted that approaches to disaster displacement are too often humanitarian, after the fact and short-term only. 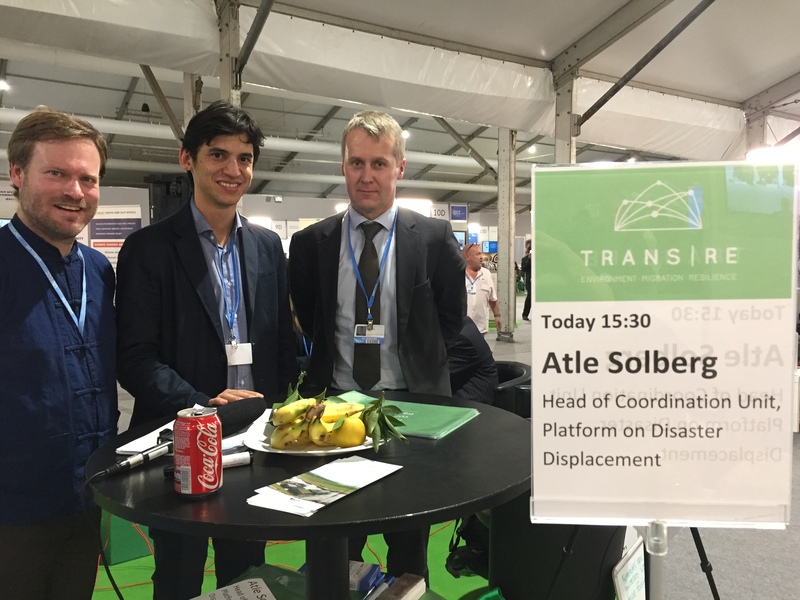 Mr. Atle Solberg (PDD CU Head) presented the added value of the UNFCCC WIM Task Force on Displacement. The Task Force is an important opportunity to develop recommendation on integrated approaches on how to avert, minimize and address displacement related to the adverse effects of climate change. On the same day, Mr. Solberg (PDD CU Head) answered questions on disasters, climate change, human mobility and displacement at the COP22 Q&A session of the Translocal Resilience Project (TransRe: Environment, Migration, Resilience) of the Geographical Institute of Bonn University (Geographisches Institut der Universität Bonn). Later on the evening he had a discussion with members of the civil society on protecting and promoting the rights of migrants in the context of climate change induced displacement. Mr. Solberg explained that if people cross borders in the context of climate change, the bond between the citizen and the State is still intact, unlike in many situations of persecution and in the case of refugees.